The term xanthelasma is derived from the Greek xanthos (yellow) and elasma (beaten metal plate). Xanthelasma are yellowish plaques that occur most commonly near the inner canthus of the eyelid, more often on the upper lid than the lower lid. Xanthelasma palpebrarum is the most common cutaneous xanthoma. Xanthelasma can be soft, yellowish, fatty deposit, semisolid, or calcareous. Frequently, they are symmetrical. The upper lids are more frequently involved than the lower lids. Often, 4 lids are involved. Xanthelasma have a tendency to progress, coalesce, and become permanent. It’s not harmful, but in rare cases it may be an indicator of possible heart disease. It’s seen more who’s from Asia or the Mediterranean. Xanthelasma are yellowish-white lumps of fatty material, soft, semisolid, or calcareous accumulated under the skin on the inner parts of upper and lower eyelids. The plaques contain lipids, or fats, including cholesterol, and usually appear symmetrically between eyes and nose. Cryotherapy: This involves freezing the xanthelasma with liquid nitrogen or another chemical. Surgery: The surgeon will remove the xanthelasma by surgical procedure. Radiofrequency advanced electrolysis: It is use to eliminating or reducing xanthelasma. Chemical peels: Treatment with tricholoroacetic acid (TCA) experienced satisfactory. Medication: The statin drug: simvastatin may treat xanthelasma. 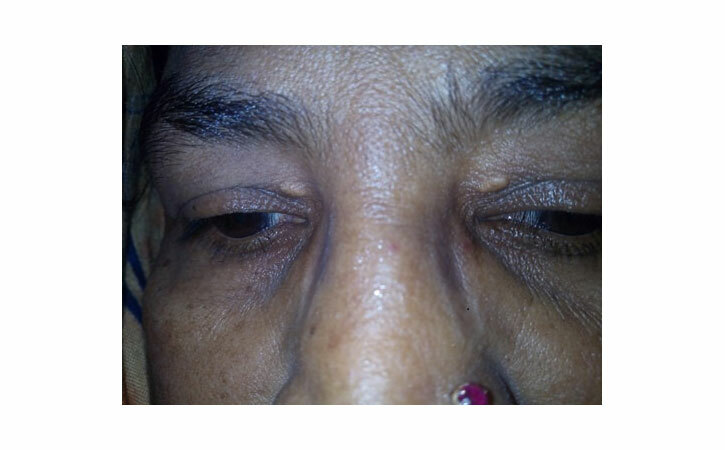 Xanthelasma may reappear after treatment. limit consumption of saturated fats, which are found in things like butter. If anyone needs to remove xanthelasma, then need to consult with a doctor. To check up cholesterol level and start statins or another medication, need to visit a doctor. There are also some natural remedies that may work, but talk to doctor before using supplements or alternative treatments for cholesterol.